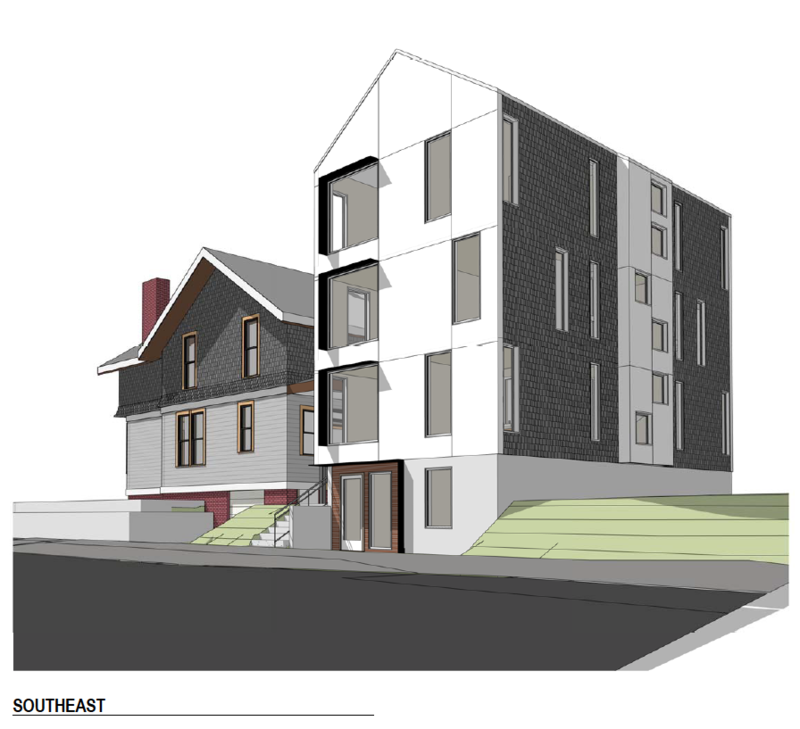 7 unit infill concept on a site with existing historical residence. This is a a concept we created for an infill site. Two one-bedroom units per floor with one accessible two-bedroom unit at grade. Proposed a minimalist, modern aesthetic as a backdrop to the historic detailing of the existing duplex on site. Presented here as an example of how we can assist in exploring alternate, medium density designs within the urban growth boundary. responding to the changes in the local zoning planning requirements. 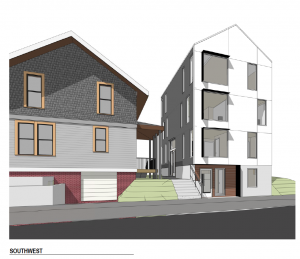 While this design met with the owners expectations, the owner decided to pursue a less dense option in response to neighborhood input. We present it here to reflect our abilities to look beyond the expected and look for unique solutions in infill housing.